Adam J Purcell, Andy Simpkins and Keith Dunn sit down, 957’ed, in front of the Babylon 5 third season episode, ‘Voices of Authority’, and spout our usual nonsense! 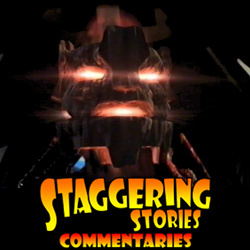 The Lurker’s Guide to Babylon 5: Voices of Authority. 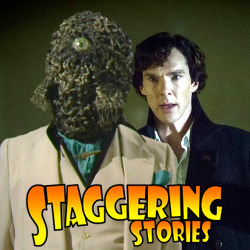 Staggering Stories Podcast #178: His Last SPLINK! 03:14 – Doctor Who: The City of Death. 20:05 – Trivial Game and Paranoid Pursuit. 26:27 – Sherlock: His Last Vow. 63:37 – Farewell for this podcast! 64:10 — End theme, disclaimer, copyright, etc. Wikipedia: Doctor Who – City of Death. BBC: Doctor Who – City of Death. 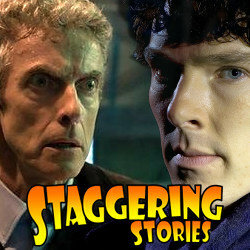 Wikipedia: Sherlock – His Last Vow. BBC: Sherlock – His Last Vow. Who Is The Man Podcast. 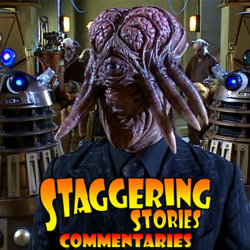 Adam J Purcell, Andy Simpkins and Keith Dunn sit down, ear-ached, in front of the 2007 Doctor Who episode, Evolution of the Daleks, and spout our usual nonsense! BBC: Doctor Who – Evolution of the Daleks. Wikipedia: Doctor Who – Evolution of the Daleks. 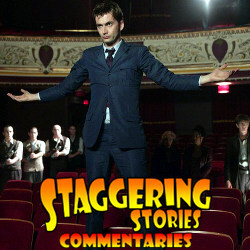 Adam J Purcell, Andy Simpkins and Keith Dunn sit down, enveloped, in front of the 2007 Doctor Who episode, Daleks in Manhattan, and spout our usual nonsense! BBC: Doctor Who – Daleks in Manhattan. Wikipedia: Doctor Who – Daleks in Manhattan. 01:44 — Doctor Who: Tops 2013 iPlayer charts. 02:58 — Batman: 60s cult classic gets disc treatment. 04:19 — Doctor Who: More merchandise – Tales of Trenzalore book & less merchandise – Worlds in Time: DEAD! 06:58 — Roger Lloyd-Pack: DEAD! 09:05 – Doctor Who: Our hopes and fears for Peter Capaldi’s era. 21:04 – Trivial Game and Paranoid Pursuit. 26:18 – Sherlock: The Sign of Three. 53:33 – Farewell for this podcast! 54:20 — End theme, disclaimer, copyright, etc. Doctor Who: Worlds in Time. Wikipedia: The Sign of Three. BBC: Sherlock – The Sign of Three.